WALKING ON THE OCEAN. Spectacular Beachfront Ocean View! Majestic Sun 1103B. 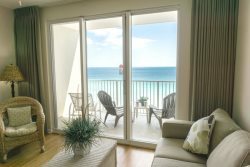 Our condos that are priced at a lower rate than others, because of the view or the size or the decor of the condo. BY THE SPARKLING SEA. Pet Friendly. Steps to the Private Beach. Ciboney 2012. SUMMER BY THE SEA. Pet Friendly. Ground floor convenience. FREE Beach Service. Summerspell 109. GRAND CARIBBEAN WEST #315. Gorgeous Gulf View from the wrap-around balcony. In awesome Crystal Beach area.